You have described Austerity baby as an ‘oblique memoir’. Can I ask why you have used this particular phrase? First, to acknowledge that it’s not a ‘traditional’ memoir – it’s not linear, either chronologically or in a narrative sense, and it doesn’t set out to tell either the story of my life (which would really be an autobiography) or even the briefer stories of moments in my life (which is what I understand a memoir to be). It is about me, though: I am the ‘austerity baby’ (which is how my mother described me in her diary when I was born). And certainly by the end of the book the reader will know quite a bit about me, and about my family. The second, main, reason I call the book an oblique memoir is that throughout it I tell my family’s story rather indirectly – through other people’s stories which parallel mine, in other people’s words (diaries, letters, novels). And to some extent the images in the book are intended to contribute to the story in their own way, which is often quite indirect. Given the format, I am interested to know whether you completed each chapter before moving onto the next one; or was each chapter a self-contained search, then write-up? It was a mixture, really. I did write the first three chapters first, just before I moved back to the UK from New York in 2006. I don’t think I was actually planning it as a book at that stage, and even when I began to think it might be a book, I wasn’t particularly committed to those three chapters coming first, or in that order. I didn’t do much of the writing for a while – busy with a new job at the University of Manchester, and also continuing with academic writing at that point. When I retired in 2010, my colleague Jackie Stacey organised a retirement conference for me which together we decided to call Writing Otherwise (the title of the book we then co-edited, which MUP published in 2013). By then, as Jackie knew, I was much more interested in literary non-fiction than in academic writing, and she herself was very interested in this too. What is now the first chapter of Austerity Baby was included in Writing Otherwise (and the second chapter was published in an online American journal too). After that – and of course I had more time after retirement – I did just write one chapter after another, in the order in which they now appear in the book, keeping open for a while the possibility that it might work better if I changed the order later. I should add that fragments of writing in the book pre-date even the 2006 drafts, as I’ve incorporated bits from informal writing groups I was part of in London in the late 1980s. Was there anything that you uncovered or mused about that sent you off to unexpected places, unsuspected destinations? I suppose the most dramatic thing was finding out that my cousin Paulette, who lives in Massachusetts, has kept a stash of letters received by her mother Eri and written by Eri’s own mother Leonie. Leonie, my grandmother’s sister, was eventually deported to Auschwitz, where she died, in September 1942. (My own grandmother was able to emigrate from Germany to England – to Manchester – with her husband in June 1939, to join my father who had left Germany the year before.) The letters were written in old German handwriting, so I employed a transcriber/translator to help me understand them. My A-level German is just about up to reading the typed version she produced, but Paulette and my other American cousins don’t read German. Eri had emigrated to New York in the mid-30s, as a young woman, and Leonie wrote to her regularly until just before her death. 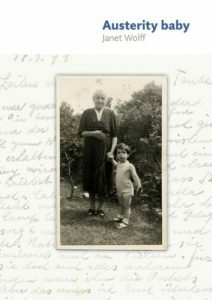 From the letters I learned that the Jews of southwest Germany were expelled into France in October 1940 (this with the help of my friend and colleague, Jean-Marc Dreyfus, a scholar of the Holocaust). I had never understood what Leonie was doing in France until then. From the letters we get a rather amazing day-to-day account of life in the internment camp in Gurs (where Leonie’s husband died within six weeks), and of life in Marseille, dedicated to trying to put together the necessary documents for emigration to the United States. In the end, as I already knew, this was in vain. I had the opportunity to visit Marseille a few years ago, and walk round the places Leonie would have seen and visited. Paulette and I also went to ‘our’ part of Germany together on another occasion, to our grandmothers’ home in the Palatinate, and to Offenburg, Leonie’s home after marriage. Various unpleasant attitudes to immigration, racism, displacement appear to have returned to Europe and America. Have you experienced any echoes whilst writing about the experiences of your father and his family? My immediate answer is no – I didn’t make any connections at all while writing the German parts of my story. Of course the continuing refugee crisis must have resonated at some level (and the family history was certainly relevant in my deciding last year to become a volunteer mentor for Refugee Action). But I have always been very resistant to mobilising parallels between Germany in the 30s, and the National Socialist period, and other social and political events and trends – not because it’s so sacrosanct but because it’s become too facile a comparison, by-passing any detailed social (and economic) understanding of the current moment. And yet, last week I was at the Tate Liverpool to see the exhibition of Weimar art (August Sander and Otto Dix), and reading the abbreviated time-line of developments in Germany through the 30s I was reminded again, with a bit of a shock, that the transition from democracy to totalitarianism was incredibly fast and still rather unbelievably easy. Which still doesn’t mean I am afraid that current anti-democratic trends (Hungary, Poland, Turkey, populist movements in the West, even Brexit and Trump) will lead in the same direction. The fact that the day after the Brexit vote I decided to apply for German citizenship had nothing at all to do with re-living the 30s. It was my instant response (along with many others, it turned out) to do what I could to remain a European. When I returned to England in 2006, after eighteen years in the United States, one of the primary reasons was to resume a proximity to the continent which has always felt appropriate. As it happens, I have been to Germany several times in the past few years (including, for example, involvement in an interesting exhibition in Lübeck, for which I wrote a catalogue essay). As the child of a refugee from Nazism, I was entitled to citizenship, awarded straightforwardly without the usual requirements of application, and my citizenship came through in little over a month. The lovely German word describing my new status, registering that the citizenship has been ‘restored’ rather than newly awarded, is ‘wiedereingebürgert’ (‘re-citizened’). Last question: given that your trade for many years was ‘art historian’, I realise that I haven’t actually asked about the illustrations. But instead of that I want to know – has there been a natural stopping-point? Given the self-contained nature of the chapters, I just wondered if there were other places / people / incidents / pictures needing to be examined? That’s a good question! I did know it was finished, but I’m not entirely sure I can explain why. Yes, the chapters are self-contained, but many themes – and people – turn up again. Some obviously (my German grandmother, and her story), some more quirkily (Eleanor Rathbone, paintings by Kathleen McEnery appear again in the penultimate chapter, for instance). So there is (I hope!) continuity as well as a series of separate stories. The last chapter returns to some key themes – the contrast between the dutiful ‘good’ girl, and a notion of creativity, and also to the reflections on cancer from the first chapter. It did seem to come full circle in a concluding kind of way, I suppose. The Postscript, written very late, was provoked by the two events of Brexit and finding my long-lost German/French cousin Claude after 63 years, and felt like a good way to provide another kind of conclusion – but also (and intentionally) a rather open-ended one. I don’t actually say whether I did take German citizenship (which I did after finishing the book), or whether I managed to meet Claude (which I did, in Paris last October). And yes, I’m sure there could have been many more things to be examined. To tell you the truth, I was very tired when I finished writing the last parts – I think exhausted by the material and needing to stop! For now, anyway. A launch party will be held on 19th September, at the International Anthony Burgess Foundation. Please contact [email protected] for more details. 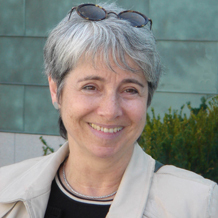 Category: Art History, Author Q&A, Blog, History, Uncategorized	0 Comments.